Fall 2015 was exciting and exhausting. The MLK Study of Race Series featuring John Quiñones, Sacramento Knoxx and Marcus Winchester challenged the community to become active bystanders and not be afraid of letting our voice be heard. Those in attendance felt the presenters were inspiring, knowledgeable and motivating for everyone to participate in the difficult dialogues on social justice and racial issues. It was a reminder that not only charity; but effective change begins at home. As the Spring 2016 semester begins and winter truly arrives, there are a plethora of opportunities to converse with your peers, faculty and staff. The celebration of Dr. Martin Luther King, Jr. commenced with the Interrace Forum, where comparisons of the civil rights movement of the 1960s and 1970s and 2015 Black Lives Matter Movement. Professor Richard Pierce provided insight and commentary during the discussion. MSPS hosted Art Force 5, Alfred University’s Drawn to Diversity team, as they worked with the Notre Dame community to create a social justice art piece. Student Affairs administrators, staff and students contributed to the mosaic mural at McKenna Hall, North and South Dining Halls and LaFortune student Center. Look for the finished piece, which will be on the first floor of LaFortune. On Friday, January 15 Art Force 5 will conduct a workshop in the Notre Dame Room on Art and Social Justice. The President’s Office is sponsoring a variety of events during their Walk the Walk Week. The first event will be a midnight candlelight vigil beginning at the Hesburgh Library on Sunday, January 18 (12:00 a.m.). A community lunch will be held at the Joyce Center (ticketed) with acknowledgements also occurring in North and South Dining Halls for students, faculty and staff. Make sure to have your ID cards. Monday evening will conclude with MSPS MLK Study of Race Series Lecture, Black Lives Matter: The Hashtag behind the New Civil Rights Movement in Debartolo 101 at 7:00 p.m. The month will conclude with the MSPS Unity Games from January 24 – 30, 2016. MSPS will collaborate with other Student Affairs departments to sponsor team competitions throughout the week. Prizes will be awarded to the winning teams at the end of the week. If you are interested in participating register at https://theunitygames.squarespace.com/registration/. February is Black History Month. MSPS and student clubs are planning several events that will highlight the African Diaspora. It will begin on Thursday, February 4 with Dr. Shannen Dee Williams, History Professor from the University of Tennessee. Watch for advertisement on the remaining activities. Nor do these texts raise any critical questions for students to consider. For example, it’s important for students to learn that the crop failure in Ireland affectedonly the potato—during the worst famine years, other food production was robust. Michael Pollan notes in The Botany of Desire, “Ireland’s was surely the biggest experiment in monoculture ever attempted and surely the most convincing proof of its folly.” But if only this one variety of potato, the Lumper, failed, and other crops thrived, why did people starve? 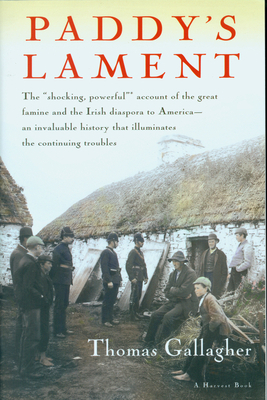 “Paddy’s Lament” recounts the famine and the Irish diaspora to America. 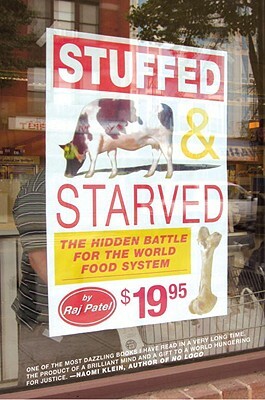 “Stuffed and Starved”: Raj Patel’s comprehensive investigation into the global food network is useful for students to reflect on patterns of poverty that persist today. Patel’s book sets out to account for “the rot at the core of the modern food system.” This is a curricular journey that our students should also be on — reflecting on patterns of poverty, power, and inequality that stretch from 19thcentury Ireland to 21st century Africa, India, Appalachia, and Oakland; that explore what happens when food and land are regarded purely as commodities in a global system of profit. Bill Bigelow taught high school social studies in Portland, Ore. for almost 30 years. He is the curriculum editor of Rethinking Schools magazine and co-director of the online Zinn Education Project, www.zinnedproject.org. This project, inspired by the work of historian Howard Zinn, offers free materials to teach a fuller “people’s history” than is found in commercial textbooks. Bigelow is author or co-editor of numerous books, including A People’s History for the Classroomand The Line Between Us: Teaching About the Border and Mexican Immigration. Bill Bigelow taught high school social studies in Portland, Ore. for almost 30 years. He is the curriculum editor ofRethinking Schools magazine, co-director of the online Zinn Education Project, www.zinnedproject.org, and is author of A People’s History for the Classroom. At the beginning of the summer I had the opportunity to partake in the NCORE Conference with the MSPS Office. I didn’t quite know what to expect, but I was eager to be in New York City and be amidst people that shared interests of race and equality. I was also very excited that I had been chosen to go out of so many students that could have gone. There were so many other great seminar topics and opportunities that I felt overwhelmed with choices! I did have to decide on a schedule and if something didn’t partially keep my interest, I would quickly move to my next option. I was able to attend movie screenings, small group discussions, group planning, a pow wow, and large keynote speaker addresses. I felt as though I got quite a bit out of all the interactions and talks with groups there. In the month prior to going, I signed up for the Pre-Conference Institute of “The Illusion of Inclusion: Straight Talk for People of Color Attempting to Navigate the Troubled Waters of Predominately White Institutions in Higher Education”. I thought that this seminar in particular would be extremely beneficial to me being a student at a predominately white institution. Based on those assumptions, I was completely wrong. This seminar was very informative, but I was under the impression that it was going to reflect on an undergraduate lifestyle, but it only pertained to PhD students and those that are currently seeking higher level degrees and want to work in college administration. Needless to say, I was one of the youngest of the bunch and felt as though the conversation was a bit out of my league. I did, however, get a lot of information and insight on those people who have gone through the process of attaining their higher level degrees and work in administration roles. There were so many people who had similar issues and could relate to one another based on prejudices and injustices they had faced within their careers despite their racial background. I enjoyed hearing the candid conversations about race and career paths, and though I don’t plan on being in higher education, some of the pointers and insights were still applicable for my aspiring future in business and Corporate America. Because everyone was so much older and had accomplished so much, it was great to engage them and network. I didn’t feel as though this was as beneficial to me as some of the other seminars could be so I left this after just a day and a half. One of the most memorable moments for me at the conference were the two keynote addresses by Van Jones, “Rebuild the Dream: The Next American Movement” and Tim Wise They “Want Their Country Back”: Racial Nostalgia and White Anxiety in an Era of Change. I absolutely loved these two speakers and their messages. It was extremely moving for me, particularly in Tim Wise’s address when he discussed issues of racial tensions and how it has led to more white anxiety. I love all of his examples and anecdotes, but furthermore it made me reflect on my experiences here at the University of Notre Dame. Though I have never had an encounter like this, it is very apparent that many majority students feel as though we minority students took their place here at school or that we are only simply fulfilling an ethnic population requirement. Essentially “they want their school back” and we have been reaping the benefits of affirmative action and unequal educational standards for far too long and it is no longer applicable. I can remember a heated discussion in my freshmen year Writing Composition class where we could write about any topic that we could create a thesis about, and three students chose to discuss affirmative action. I thought that this related a lot to this discussion was very inspiring and insightful. In addition, he spoke of issues regarding immigration where there are newly implemented laws that regulate people more harshly entering the U.S. There have been many instances throughout American history where the normalcy of the nation is challenged and there were new laws put in place to help return the country to that norm. This could be seen in Jim Crow Laws, Chinese Exclusion Act, and Red Scare just to name a few. I liked how he tied in the factor that American tries to have an identity and create a norm image, but we truly are a nation of collective cultures and backgrounds. The moment we can realize that we can truly be able to move forward and overcome racism and prejudice. I had heard great things about Tim Wise before, but hadn’t heard much about Van Jones and was pleasantly surprised by both of their messages and personable demeanors. I enjoyed these addresses very much. Amongst my favorite seminars, were two in which I had little expectations for, but was extremely inspired and pleasantly surprised with how they helped me rethink things. The two seminars I attended were, “Unlikely Allies in the Academy: Women of Color and White Women in Conversation” and another on the intersectional analysis of race, gender, and class and how we can overcome those differences that have been set in place. The “unlikely allies” seminar was very informative and engaging because of the testimonies and personal encounters that the women on the panel shared with us. There was a wide range of ages and I was able to relate to quite a few of their experiences and outlooks they shared. I loved this seminars’ sense of optimism in how we can overcome racial adversity. The other seminar was great to me because it discussed issues of race, gender, and class which I think intersect frequently so I thought that this was a very strong discussion and was extremely insightful on how we can all be better in our assumptions of others. Surprisingly enough a lot of my most intellectually stimulating conversation happened outside of the seminars when I was simply talking with the NCORE participants and my own classmates that attended. Rooming with Gabby and Edith while at the conference proved to be a really great experience because of our late night discussions. We discussed so much about our experiences with race growing up and how we have all worked towards bettering the atmosphere at Notre Dame. What was most interesting to me personally was that throughout the conference I constantly felt as though I lacked a connection to the other ethnic groups and could not relate fully to their issues and experiences. After talking with my roommates and taking an impromptu trip to Harlem’s Apollo, I started realizing that being African American is truly a complex issue and that my personal issue is that I feel disconnected from a true culture or country of origin like so many other minorities are able to participate in. I constantly felt that I needed to hear discussions on Black and White issues because they were most pressing. I felt as though so many Latinos, Asians, and Native Americans know of cultural practices, languages, and other things from their past, but I didn’t and caused me to think deeper than just surface level issues we encounter as a minority group. I believed that there were many systemic issues that arose from this very issue that I had problems putting my finger on and so it stopped me from being able to be empathetic toward other groups in their fight for racial equality. My Africana Studies class merely scratched the surface of this issue, but I look forward to studying it independently in the future. Overall my NCORE Conference 2012 experience was very eye opening and insightful inside and outside the seminars. I really enjoyed the trip and walked away learning so much more about myself and everyone else I was surrounded by in regards to topics of race, gender, class, and equality.